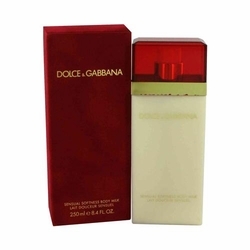 Introduced in 2013 as a heightened follow-up to the original scent, Dolce & Gabbana Pour Femme Intense is a sensuous blend of sweet, floral, and woody accords. This women's fragrance shows a sultry and elegant personality that is true to the design house's luxurious Italian aesthetic as well as to the sensual beauty of Laetitia Casta, the chosen face of the fragrance. This delightful composition features citrusy green mandarin top notes, a fragrant orange-blossom heart, and a grounding sandalwood base sweetened with a hint of marshmallow.